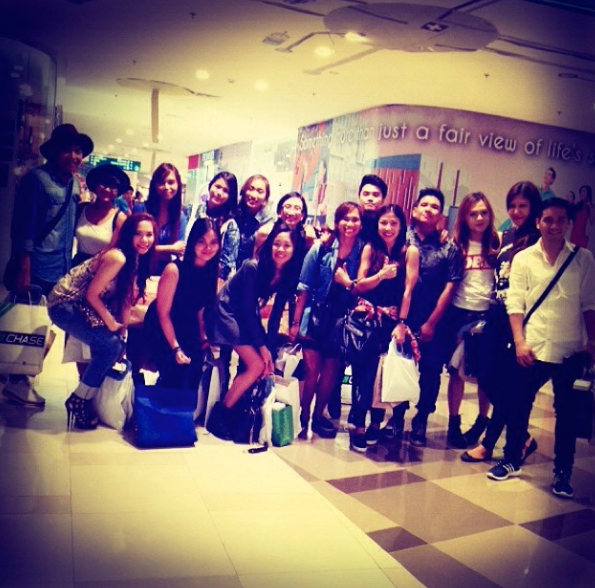 A day of shopping and fashion at Fairview Terraces! If you read my entry HERE-- about my first ever visit to Fairview Terraces, then you would know how much fun I had at their mall launch. There was quite a few new stores to see and I liked the fact that I visited a new mall other than the ones I'm used to. But my trip to Fairview was 3 months ago, so a lot has happened and changed. Now more stores have opened, so there are more things to do there! :) In case you haven't read it yet, here's a photo diary of what I did at my second visit to FT! Yesterday, the blogger friends and I made a trip again to the far side of Quezon city for a mall tour and to watch the first day of Style Origin at FT. But before our busy day ahead, we were served a yummy lunch from Recipes--one of my favourite Filipino restaurants! 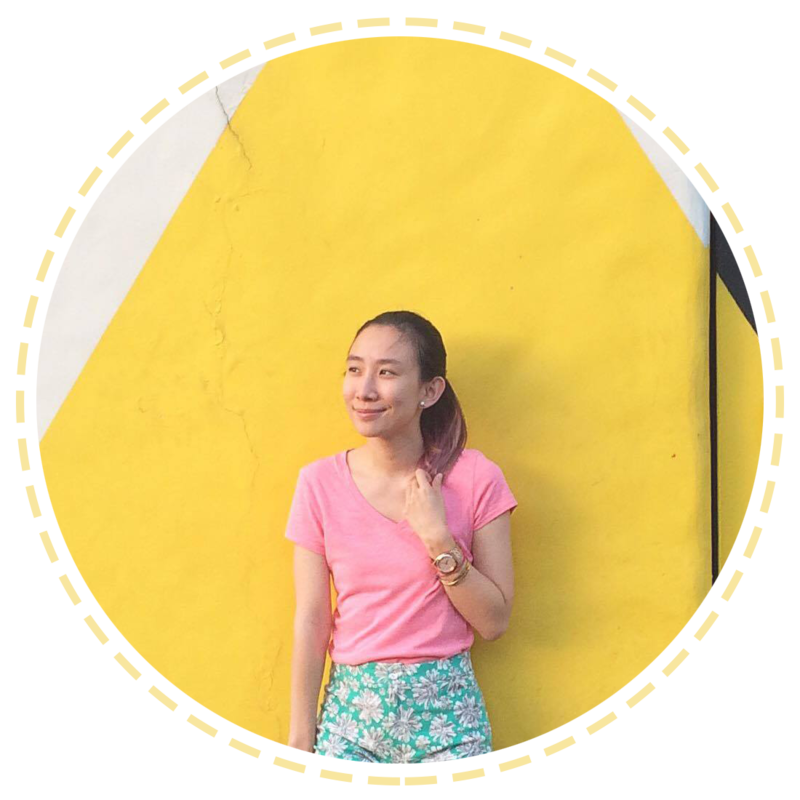 One of the activities we had to do at Fairview Terraces was pick a spot that we liked and take our OOTD photo there. Some of the bloggers picked the grocery, inside the mall or the playground, but most of us sticked with the beautiful scenery/nature vibes outside. :) The garden is too pretty to pass up! OOTD-worthy! Now for our mall tour! We were given 7 stores to visit and it was really interesting since 6 out of the 8 stores that we went to, I haven't really encountered at Glorietta or Trinoma. Our first stop was Lock&Lock! The rainy season is upon us and when the weather starts to get unpredictable, it's best to wear something that you don't mind getting wet. I personally don't like getting my sandals wet, so when I prepare my outfit for school, I make sure that I pick either pick my sneakers or rubber sandals when the weather seems bipolar. I'm sure some of you don't like going for just slippers during the rainy days. So, drop by Bambu to see which stylish pair you'd like to be your partner rain or shine! I also love that they have pairs for babies. See the one on my palm?? It's SO tiny!! The fifth store that we visited was Apartment 8! Every fashionista and female celebrity's favourite clothing brand. CNA is a "Korean fancy shop" that sells all imported Korean accessories and I think this is one of their seven branches in Manila. :) Everything is so quirky in the store that it makes me wanna get everything! But of course, that's not possible, so I got myself three cute stud earrings. ^_^ If I were still a kid, i'd probably get some über cute socks and hair-ties. :) Visit them if you're also into K-Pop bands cos they have a lot of merchandise for fans, like stickers, button pins and keychains. The 7th store we went to was C'NTRO by Centropelle. The last store we visited for shopping was Chase. I love the rustic ambiance of the store and aside from that, they have really nice clothes. :) This store isn't only for girls, so I'm sure your guy friends or maybe boyfriends would love to visit this store with you. :) There are really cool tops and jackets here, so be sure to drop by when you're at Fairview Terraces. Around 6PM, we all went to the activity center to get ready for Style Origin. This is my second one for this year and I was able to watch the MensWeek. While aimlessly watching the guys walking down the runway, I didn't even realized at first that the last guy strutting down was actually THE Enchong Dee! Woot!! I love this trip!! Cool mall tour :) Chase store looks awesome, will check it out soon!